Sixty-five years ago in Nuremberg, Germany, American prosecutors confronted the Nazi physicians who had subjected Jews and others to a murderous regime of medical research. The “doctors’ trial” was the first of the war crimes trials; one of its outcomes was the famous Nuremberg Code, a set of ethical guidelines for human experimentation. Today, the Nuremberg Code is the most important influence on U.S. law governing human medical research. Even so, marginalized groups have frequently been coerced into studies that violate their right to consent. A recent review of the bioethics of human research in the U.S. offers little prospect for change. My book Medical Apartheid documents many cases. In 1994, for example, the Medical University of South Carolina in Charleston was accused of enrolling poor black women into narcotic-treatment research without their knowledge. The next year in Los Angeles, an experimental measles vaccine was tested on children, mostly black and Hispanic, without their parents’ consent. In 1994 and 1995, New York City law enforcement officials helped researchers coerce black parents into enrolling their boys into a study that sought to establish a genetic propensity for violence, again without their consent. And in 2001, the Kennedy Krieger Institute in Baltimore was found guilty by a Maryland court of encouraging black families to move into lead-contaminated housing as part of a study on lead levels in children (the verdict was later overturned). This scourge has spread beyond racial minorities, as detailed in my new book Deadly Monopolies. Since the 1980s, around 20 U.S. research projects have won legal waivers allowing them to bypass any form of consent. From 1990 until 2005, for example, the Department of Defense obtained a waiver that allowed it to force 8.9 million ground troops to accept inoculation with experimental anthrax vaccines. Civilians’ rights are violated too. In 1996, U.S. law was changed to permit non-consensual research on trauma victims on the pretext that they are unconscious and unable to give their consent. Private companies, for whom time is money when seeking approval to sell their products from the U.S. Food and Drug Administration (FDA), were quick to see the advantages in enrolling subjects who could not refuse. In 2003, biotechnology company Northfield Laboratories set up a nationwide trial of its blood substitute PolyHeme. The substance was randomly administered by ambulance crews to unconscious victims of car accidents, shootings and cardiac arrests. The law required the researchers to offer a means for opting out. Northfield’s answer was to provide plastic bracelets inscribed with the words “I decline the PolyHeme study.” Crucially, to opt out, one first had to know the study existed—a challenge, because the obligatory community notification tended to be desultory. Ross McKinney Jr., vice-dean for research at Duke University School of Medicine in Durham, North Carolina, estimated that consultation in his area reached about 450 out of a possible 267,000 people. In 2009 the FDA reviewed the trial. It concluded that there were more heart attacks and deaths in subjects who had received PolyHeme than those who had not, and rejected Northfield’s application to license PolyHeme. The company went into liquidation later that year. A larger number of non-consensual studies is still ongoing. The $50 million Resuscitation Outcomes Consortium aims to recruit around 21,000 subjects to test the safety and effectiveness of various emergency treatments for severe injury and cardiac arrest. 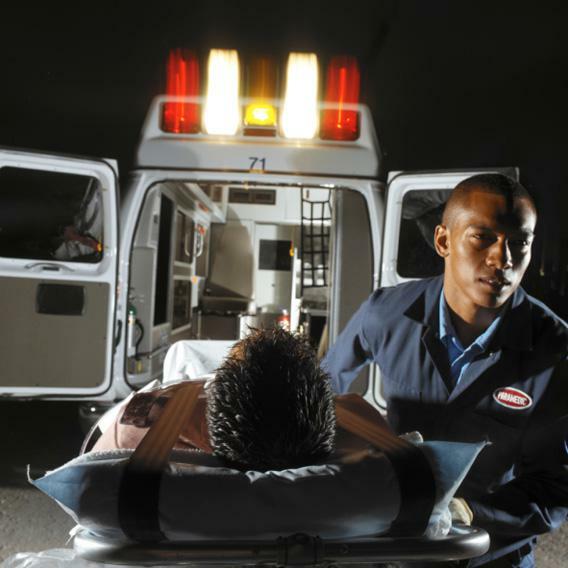 ROC is being conducted at 11 trauma centres in the U.S. and Canada. As in the PolyHeme study, subjects are enrolled at random and no consent is sought. One ROC experiment infused concentrated saline into trauma victims’ blood vessels to test its effect on traumatic brain injuries. Doctors are well aware of the dangers of administering such a highly concentrated solution and these concerns proved well founded in August 2008 when the study was suspended over concerns about patient safety. Once news coverage alerted some residents of targeted areas to the study, the researchers were overwhelmed by demands for opt-out bracelets. One study continued even after high demand made the bracelets unavailable. Prospects for progress appear minimal. Late last year the Presidential Bioethics Commission issued a report on protecting human research subjects. Called Moral Science, it made much of the U.S.’s “robust” protections—the very rules that permit and legitimise breaches of informed consent. The failure to elicit consent is not confined to the U.S. One in every three U.S. corporate medical studies is now carried out abroad, usually in places where trials can be conducted more cheaply than in the U.S. Subjects are often unaware that the treatments are experimental. In 2011, drug giant Pfizer paid $75 million to settle claims that children in Kano state, Nigeria, were injured or killed by non-consensual administration of its experimental meningitis drug Trovan. Just as U.S. physicians demanded justice at Nuremberg, Nigerian parents stormed courts in Kano and Manhattan to demand that we live up to our stated ideals. Sixty-five years on, it is high time we did.